August | 2014 | Mothers Against Wind Turbines Inc. The federal government is also responsible for problems being initiated into rural Canada. Prime Minister Harper, Rural CANADIAN Residents call on your Government to do what the Ontario Provincial Government will not do. Protect its citizens!! It’s painfully obvious to Rural Ontario that our Provincial Government/Liberals are not listening and have no intention of listening to the concerns of it’s Rural Population. The anti-wind movement has been patient. The anti-wind movement has been resilient. The anit-wind movement has not and will not go away, it has in fact grown in size and is more determined than ever to be heard!! It is time for the FEDERAL Government to listen up!! 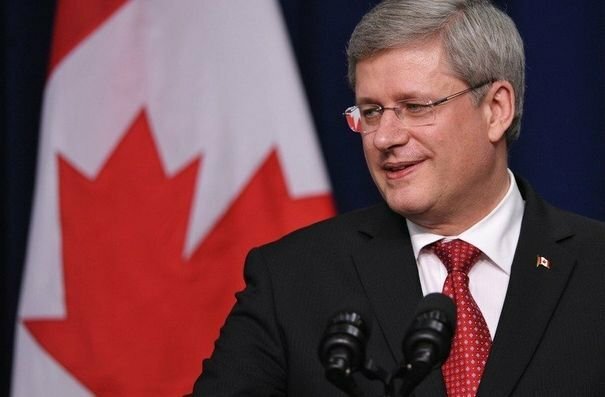 Prime Minister Harper advocates for individual freedoms and accountable government. 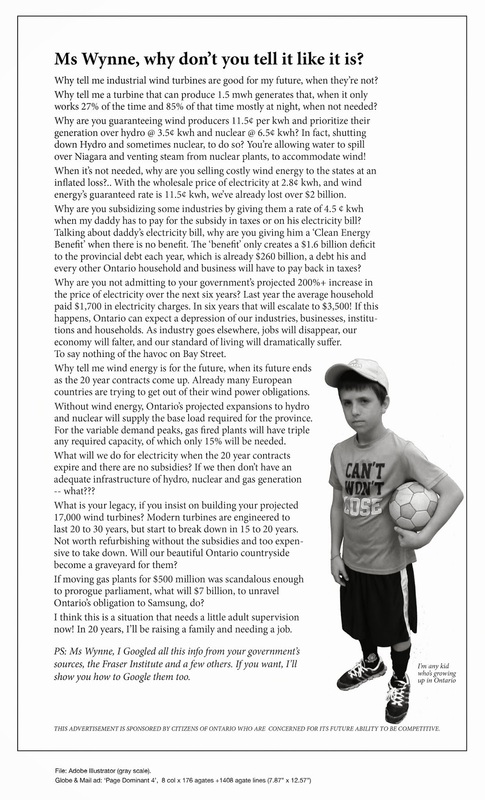 The Anti-wind movement calls on Prime Minister Harper and His Government to stop and take a close look at what is happening in Ontario!! One of our members got a quick response from her MP in answer to her email on the policy points regarding wind power in Ontario, and the 2015 election. Her MP told her that the federal government is doing a health study, and that is that: any other contact should be through the province of Ontario. But we people at Wind Concerns Ontario do not give up! Thank you for getting to us so quickly, but I beg to differ with your opinion that this problem is only a provincial problem. The federal government is also responsible for problems being initiated into rural Canada. Yes, you have set up a Health Study, but the results will be too late for Canada. This study will not come out until sometime this year, (and the year is almost over) and then it will have to be studied and examined, etc. It will take years for any positive change from this study, and from the correspondence we have had with Dr. Michaud, it seems he started with the premise that there is no problem because the onus of proving irreparable and irreversible harm is impossible to prove so anyone with concerns has “turbine hysteria”. The Green Energy Act is structured in such a way that our municipality or its people will have no right in the matter. And then, your government, who we support, is helping the Liberal & NDP view by washing your hands of responsibility.The PC’s must stand up for the rights of rural Ontario especially. If you do not stand up for us, you will lose your majority to the Trudeau machine that is barreling down the road to the election by doing everything in their power to make our prime minister and the party look bad. I am enclosing a letter which WCO has crafted to explain this situation to you. Please read it and study it. If you have questions, Wind Concerns Ontario (WCO) would be pleased to help you understand the situation. IT’S TIME THAT YOU GET INVOLVED. Such spirit! Also, respectful, with details, and emphasizing the need for action. It’s time to send letters on a Federal Level! Niagara Region is represented by four federal (MP) and four provincial (MPP) elected officials. Australia is contemplating amending their renewable energy targets (RET) This about face in policy has the wind industry and other renewable developers on the offensive and lobbying extensively to protect their interests. The following are the executive summary and the actual report that has them so concerned. Around the world markets for renewables industries are directly linked to the flow of money from policies endorsed by governments leading to the enrichment for the proponents of the projects. In Australia wind developers are currently fighting back in a life and death battle against the threat of the RET being revoked. This is signaling the death knell for the renewable industry in the land down under. FIT 3 hasn’t changed the appetite for some in doing business in Ontario such as Next Era ( parent company Florida Power and Light) They remain keen to continue to take advantage of Ontario and announced they were looking for even more projects to sustain them…..
Florida firm eyes setting up more wind farms in Ont. Renewable energy projects grow vigorously with the guarantee of subsidies and Ontario continues to follow the path of sustaining the industry at all costs. Good things grow in Ontario ….. but at the end of the day, You can’t Eat Money. Britian, Germany, US and Australia all re-thinking the renewable / turbine/ solar thing….meanwhile in Ontario it’s full steam ahead? 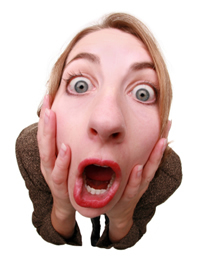 STT followers have been delighted with news that Tony Abbott, Joe Hockey and Mathias Cormann have teamed up to axe the mandatory RET (see our post here). In response to the PM’s mooted plan, the wind industry and its parasites have been reduced to making idle threats of “revenge” and bleating about “sovereign risk”. Despite a rear-guard effort by Environment Minister, Greg Hunt to salvage something of the mandatory RET, his boss has confirmed that his mission is to kill it outright. And that pretty much means the end of the wind industry as we’ve known and grown to despise it. Here’s the Australian Financial Review on the beginning of the end. Wind energy development in the United States has slumped. Despite record installations in 2012, and eking out a 1-year, $12 billion extension of the wind production tax credit (PTC), new wind capacity last year fell to just 1,087 megawatts, a level not seen in more than a decade. Development in 2014 is showing signs of improvement but the year may not fare much better. The industry blames Congress and the uncertainty surrounding the PTC for the slowdown, but such thinking is overly simplistic and ignores the fundamental challenges facing big wind. This slump, like others that plagued wind development in prior years, can be traced directly to generous government assistance, current energy prices, and the inherent limitations of wind power. How many more times does it need to be said? Enercon GmbH’s Wobben Windpower is losing contracts in Brazil after tax authorities canceled some exemptions for wind turbine manufacturers in the country, an official said. The Brazil unit of Germany’s Enercon had a single customer so far this year, Mathias Moser, a vice president of Wobben, said in an interview yesterday in Rio de Janeiro. The company had considered leaving South America’s fastest-growing market after Brazilian tax authorities in April removed a tax incentive and required turbine makers such as Wobben, Spain’s Gamesa Corp., Tecnologica SA and Denmark’s Vestas Wind Systems A/S to pay back taxes for the exemption. “This is definitely a restructuring year for us in Brazil,” said Mathias, who came to the country in April amid a management change. Enercon, based in Aurich, Germany, decided to stay in Brazil last month after filing an appeal on the tax incentive ruling, according to Mathias. He didn’t disclose how much the company owes in back taxes. Brazil is seeking the previous five fiscal years of back taxes for the exemption. Van Diesel challenged James Gunn to “Plant a tree for Groot” and James challenges YOU!! It all started with Vin Diesel starting the “Plant a Tree For Groot” Challenge (Groot is a tree like character Vin Diesel played in the latest release of Guardians of the Universe movie) Vin Diesel then challenged James Gunns’s and this is his “Plant a Tree For Groot” challenge. James will donate $5000 to the rains forest trust if he can get 50 people to meet his challenge. If you’re looking for a tree to plant you can get your white pine tree (sampling) from Mothers Against Wind Turbines $3 for one or 4 for $10.00. You can challenge a friend or family member and hand them the tree at the same time!! Send us a picture of you completing your challenge so we can post them and don’t forget to nominate someone to do the same. Join in on the “Plant a tree for Groot” Challenge and help the “Trees not Turbines” Campaign at the Same Time!! It’s a WIN – WIN situation!! 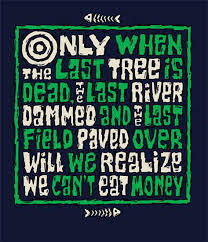 Join the REAL Green Movement….plant a tree. YOU ARE INVITED TO PARTICIPATE IN ANOTHER FUNDRAISING YARD SALE FOR MAWT Inc. The Mothers Against Wind Turbines (MAWT Inc.) is holding a garage sale Saturday September 6 . This is a fund raising event to raise money for legal costs in our continued opposition to the wind turbine projects proposed for the area. This yard sale is planned for the Saturday, September 6 at the Train Station on Station Street. We will use the opportunity for education as well as fund raising. If you have good used sellable items, please contact Bonnie (905-386-7522) Geri (905-386-6371) , Pam (905-870-6121) or Nellie (905-957-3832). Feel free to drop the items off at one of our homes before Friday morning. We can arrange pickup if you are unable to deliver your donation. Any help that you can provide is greatly appreciated. If you could print this poster and distribute it in your neighbourhood, it would be awesome. If you are not able to print the poster, please invite your family, friends and neighbours verbally using the information provided on the poster. If you are able to help with the sale we would be thrilled to have you on board. Please call and let us know so we can arrange a schedule of volunteers.